Standard Ratios with a choice of Mountings! 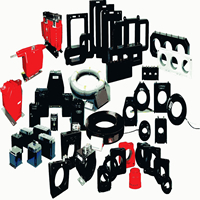 PC&S has commercial grade, low cost window type current transformers typically used with ammeters in such AC applications as panelboards, control panels and engine generators. 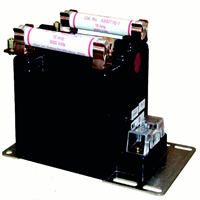 Solid core, split-core and clamp-on current transformers that are UL and C-UL listed. PC&S offers you a choice of many different models: numerous window sizes, ratios measuring 50-400Hz, primary currents of 10A to 15,000A with secondaries of 0.1A, 1A and 5A. Whether your application is indoor or outdoor, let PC&S be your single source for high-quality current transformers.